The Vietnam era was marked by student anti-war protests and the counterculture movement. But in 1970 the "silent majority" organized the era's largest pro-war demonstration, simultaneously protesting against President Nixon's Vietnam War policies and "hippies and yippies everywhere." 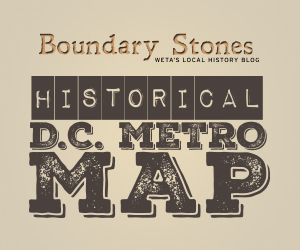 Not surprisingly, our nation’s capital has undergone some pretty radical changes since its beginning. 160 years ago, the landscape of the National Mall and surrounding streets looked vastly different than it does today. We’re talking an armory, one museum, the Washington Monument and not much else. Speaking to the Historical Society in 1901, Presbyterian minister and Chaplain of the Senate Byron Sunderland described the Washington he remembered in the mid nineteenth century.